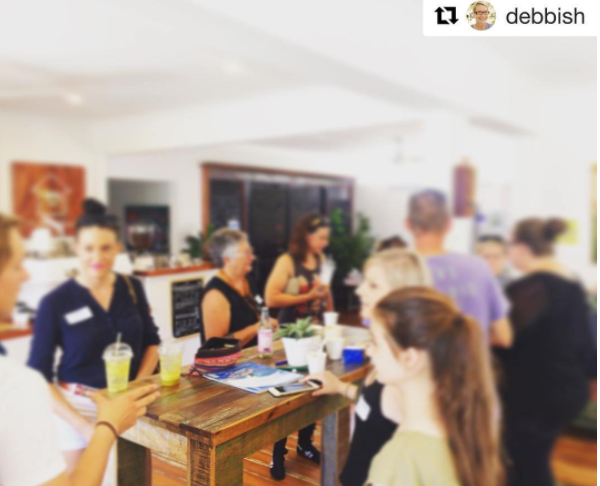 Just over four months ago we held our first Instagram / social media users meet-up here on the Fraser Coast. At the time we vowed we’d do so again and then I kinda procrastinated about the whole thing hoping someone else would initiate it. Thankfully a few fellow Fraser Coasters ran into each other in some new shops in Maryborough and decided it would be a great spot for the next gathering. The lovely Katie again did the hard yards and liaised with Sotik Sanderson (from Open City ESS) who is apparently not at all worried by the concept of smart-phone carrying locals tramping all over her lovely shop taking random pictures of themselves, each other and… various pretty things. Of course I must confess I’m yet to make to the new fabulous shops (Open City, The Burra Bub Co and Hey Posy) in the Adelaide Street laneway (remembered by me as the place we bought my bicycles as a kid! ), but I follow all three new shops on Instagram and Facebook. 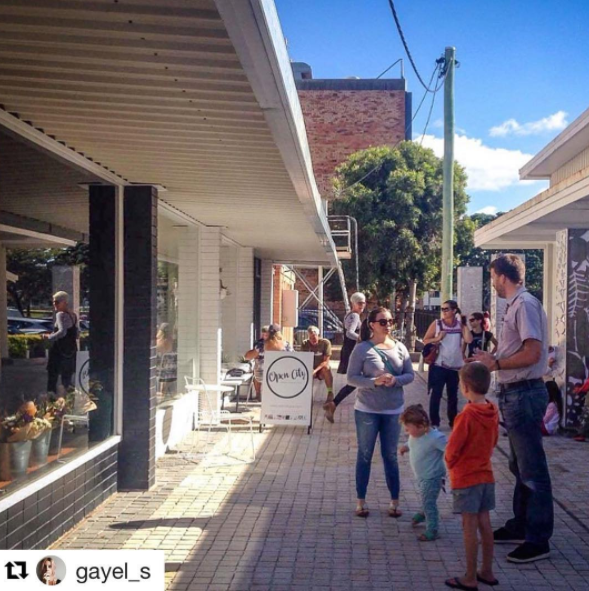 And… because my friend’s just written a blog post about them I’ll send you in the direction of The Daily Recovery to check it out: Laneway Life (258 Adelaide Street Maryborough) and for more information. I for one am really excited about the new shops opening around the Fraser Coast. I know we continue to lose some, but new blood ahem, arrivals are certainly something worth celebrating and supporting. So… I might see you on Saturday (5 August, 12-2pm)! Drop by for a coffee and say hello! For non-Instagram users, Katie has set up a FB page you can follow for news of other meet-ups. I’ve only just realised I didn’t write anything about the social media / Instagram meet-up we held a few weeks ago. Now I’m seeing amazing acai bowls put together by a seriously impressive 16yr old who’s more together than this 40-something year old; and who’s gotten me addicted to #VanLife pictures on social media. I’m also seeing a lot of amazing food on offer around the Fraser Coast, particularly via the fabulous Fraser Coast Foodies and Fraser Coast Eats accounts. And I had the opportunity to meet some fit Fraser Coasters who make me feel guilty each day that I scoff my Caramello Koalas and they’re out running or lifting heavy weights and cross-fitting. And then there are those who share their lovely shots of the beach, shopping trips, meals or whatever they’re up to. It’s nice to have put faces to names, and names to handles. It was nice to meet people I might not otherwise have met. And it was nice to get pushed outside of my / our comfort zone a little. Following new people has also introduced me to a range of others and I’m agog at some of the creative and artistic peeps around, and love the positivity and zest for life that I see coming at me through beach pics, sunsets, sunrises, families, dogs and cats. And everything in between. We’ve talked about attempting to have a similar catch up irregularly… so stay tuned. Thanks to those who came along and don’t forget to use a #frasercoast (hashtag) or #HerveyBay or #maryborough or similar if you want to find other locals. Thanks also to The Front Room, which is a fabulous venue and cafe and I know you’ve gotten some new customers as a result! 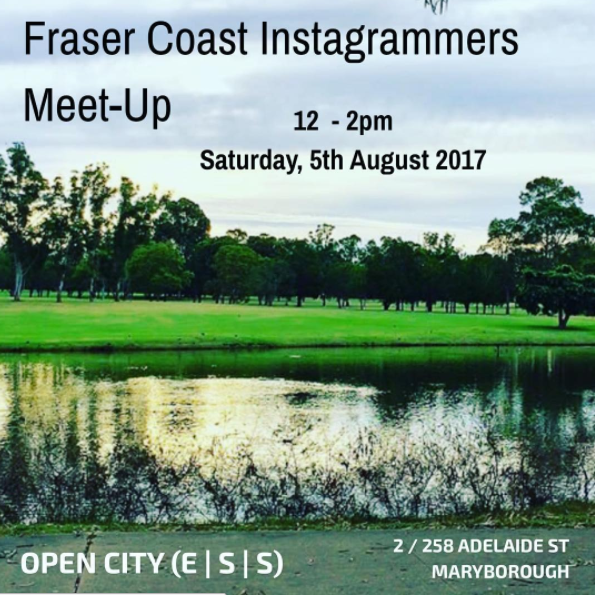 For more information about upcoming meetups follow our new: Fraser Coast Instagram Meet-up account. It’s that time of year—the festivals start and the whales make their way up the coastline. And it all kicks off this weekend in Maryborough, starting with my favourite event on the Fraser Coast…. I first went in 2013 and was pleasantly surprised by the event. My expectations were very high second time around, and although there were more food options in 2014, there didn’t seem to be as many stalls and I really struggled on the gluten-free front. My friends were delighted with what was on offer, but I asked at place after place for coeliac-friendly meals to no avail. In the end I bought a bag of organic gluten-free corn chips from someone selling salsa. Nonetheless I’m looking forward to this year’s event with a stack of new sessions available. Not only can you attend the wine or beer and food matching options (for $25), but there’s also a Wolf Blass Master Class on board the Hervey Bay Boat Club’s boat travelling on the Mary River (for $30) and a long lunch featuring some great local chefs (for $85). I did think about offering my services to live-tweet the lunch (in exchange for a sumptuous repast), but…. On the beer and wine tasting front: Wolf Blass, Vintner’s Secret, Kingsley Grove, Crane’s Wines (a fave of mine from 2013), Clovely Estate, Uncle Bob’s Estate Organic Wine and Yenda Craft Beers will be in attendance. Of course there’ll be food on sale (and I’m crossing my fingers re GF options) as well as music, stalls and the crowd favourite—foodie talks and cooking demos. 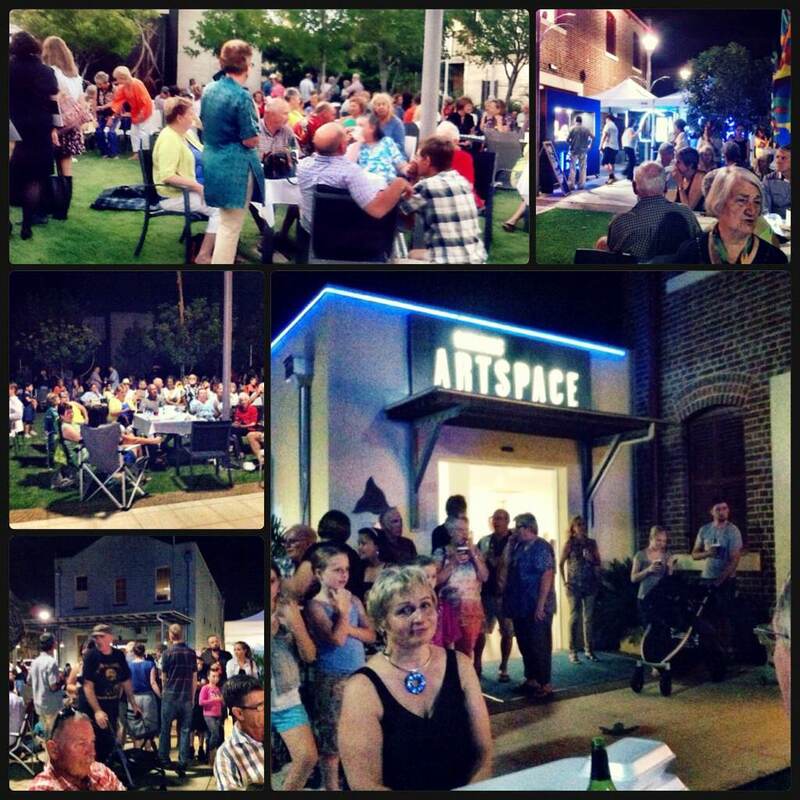 The event stretches from Queen’s Park right around the Portside precinct to the lovely Gatakers Artspace. Tickets are available online for $12 or at the gate for $15. The gates open at 11am with things wrapping up at 6pm. Check out the Relish site for more info, including a map. For social media fiends, there’s a Relish Twitter account, Facebook page, and Instagram account. The hashtag du jour seems to be #relishfrasercoast. If horses and people riding them are more your thing, local (renowned) horseman Guy McLean will be doing his thing at Susan River Homestead on Saturday evening. In addition to Guy, his liberty horses and some bush poetry, there’ll be refreshments for sale. Gates open at 4.30 and the show starts at 6pm, so you can pop along after Relish. For more information check out the Susan River Homestead Facebook page. What better way to recover from overindulging in wine and beer tasting than by drinking more?! Yes indeedy, it’s time for the annual PubFest. Most years we’re champing at the bit (hee hee, notice how I slipped that in given the above event…. #sorrynotsorry) to regain the world pubcrawl record we won at some point in the past. I haven’t heard a lot of talk about the record this year so I suspect we locals are starting to find the event a bit passe. Who knows? We do have a short attention span and get bored kinda easily. I didn’t even know what the theme was until I looked up the website (yellow Superheroes incidentally) and… the site’s got ‘Information coming soon…’ type text still there, so…. I’ve never been and have to admit it’s not really my thing; however I know you can get PubFest passports and have access to buses to take you from pub to pub and I suspect it’s great fun if you’re part of a group. For more info check out the World’s Greatest PubFest website. I’m ashamed that I’m yet to get to a (first Sunday of the month) Riverside event, but hoping to make it this time. There are some chairs and tables around but you may want to BYO chairs and blankets etc. Food and drinks (including the alcoholic kind! 😉 ) are available for purchase, there are kids games and activities, and entry to the event is free. The afternoon kicks off at 3pm and check out the Facebook event page for details. Oh… and most importantly… Monday is a public holiday for most of us so we have a heap of time to recover. My biggest fear on returning to the Fraser Coast after a couple of decades was that that I’d find the region a cultural wasteland. Don’t get me wrong, I’m hardly the opera-going type, I dislike most stage shows and don’t hang out at music festivals every second weekend. But Brisbane, like most large cities, always had something on offer. So even if I was happier at home watching DVDs and recovering from my working week I knew I could go to trendy markets, a local festival or catch a comedy show. Which is why I’ve been pleasantly surprised by what I’ve found on offer since returning to the Fraser Coast. I’m not normally a ‘joiner’ but have been busier here than I was in Brisbane. In fact, in my first year back I was kept so busy I even suffered from event-going-fatigue. Many people I meet complain there’s nothing to do and yet when I ask them if they’re heading to Relish Festival, Paddle Out For Whales, Sunday Riverside or Flickerfest they screw up their collective noses. “I can’t be bothered,” they might say. Interestingly, it’s not the out-of-town shows or big names performing at the Brolga Theatre catching my attention; it’s the Council and community events I most appreciate. 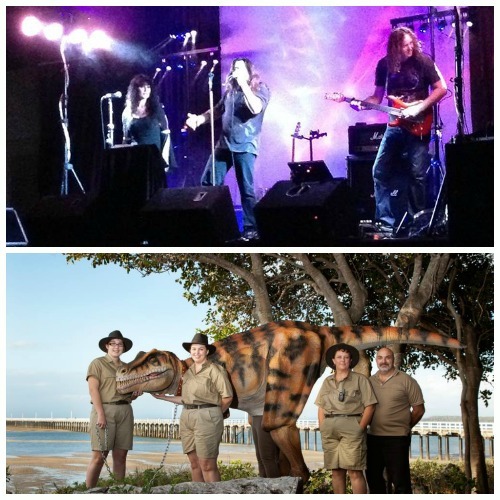 While I’m more than happy to bag the Fraser Coast Regional Council when (I believe) it deserves it, I love that it’s making an effort to entertain its residents and foster a sense of community and culture. Purists and traditionalists may argue for a focus on roads, rates and rubbish but people won’t stay here if there’s nothing to do. We’re not all great at entertaining ourselves and for many—pubs, clubs and weekend sporting fixtures just don’t cut it. The first time I attended Gatakers By Night I looked around wondering where this eclectic group of people usually hid. 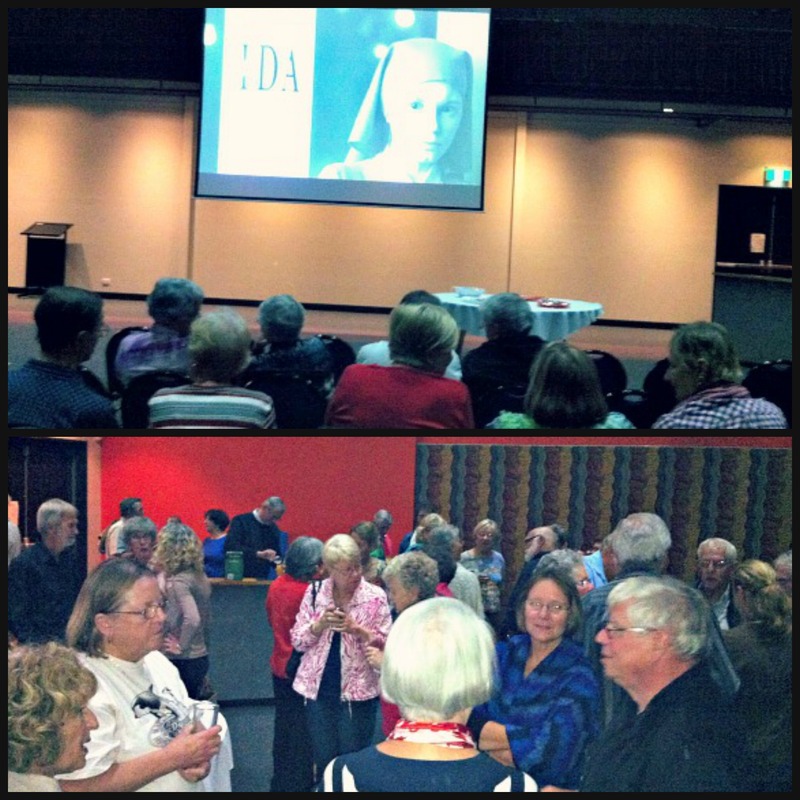 Even my mother who knows half of Maryborough saw a lot of different faces. Gatakers by Night in March 2015. More popular than ever! I’ve started attending the foreign film nights run by the Maryborough Arts Council and will be at upcoming events like the Mary Poppins and Whale Festivals with bells on. Or at least with a vague sense of enthusiasm. Of course not all events are free, but many are and most offer something for everyone. I don’t always appreciate the music on offer at Gatakers by Night but Iove its festive feeling and take the opportunity to have a couple of wines and visit the art gallery each month. And although (quite frankly) I hate crowds, it’s wonderful to experience the energetic atmosphere of Relish or the Seafood Festival and celebrate with other Fraser Coasters. Most importantly however, I’m just turning up. I’m making the effort to support what’s on—conscious we may ‘lose it, if we don’t use it’. Although I’m a well-seasoned whinger it’s not enough to sit back and complain if you can’t be bothered making the most of what’s there. And that’s something even I need to remind myself every so often.